Lexus has a problem – its buyers are getting old. 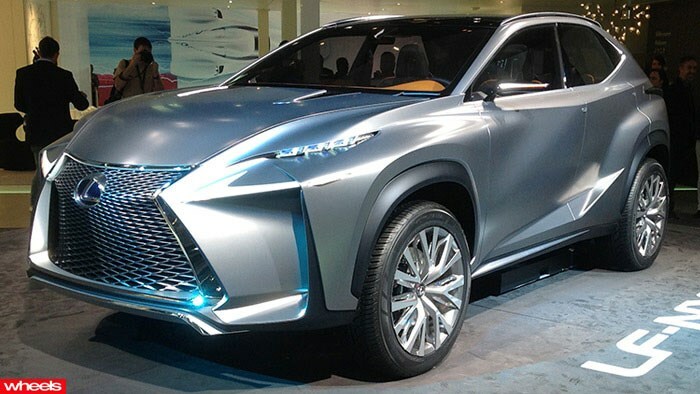 Which is why it’s targeting a new, younger audience with concepts like this new LF-NX crossover. Freshly unveiled at the Frankfurt Motor, the controversially styled LF-NX (Robbo named it Frankfurt’s ugliest car), is said to preview a new generation of Lexus design language. Speaking toWheels, chief designer Takeshi Tanabe said the LF-NF ushers in a ‘new chapter’ for future Lexus models in which ‘sharpness’ is key. Yikes. Expect its maze of aggressive lines, needle headlights and gaping grill to be toned down for production, though, with Lexus revealing it could hit our roads as early as the fourth quarter of 2014, should it get the green light. Pitched to sit below the current RX range as a competitor for the Audi Q3 and BMW X3, the LF-NX uses the same 2.5-litre petrol hybrid boost powertrain as the IS300h sedan and marks the latest addition to the booming small SUV market. Mercedes-Benz used Frankfurt to show its new small crossover, the GLA, and Infiniti revealed the crossover/coupe/hatch Q30.